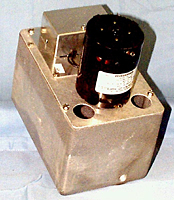 A2-SA HARTELL CONDENSATE PUMP - The A2-SA series is designed for heavy duty removal of high temperature condensate. OVERNIGHT SHIPPING AVAILABLE ! - PUMP EXPRESS delivers HARTELL PUMPS and HARTELL PUMP PARTS 24 hrs a day, 7 days a week, 365 days a year DIRECT FROM THE HARTELL PUMP MANUFACTURER TO YOUR DOOR.